Here is my contact info if you would like to help: Can contact me at anytime make sure the subject is about Ue4 and this post if by email, if by facebook state that it deals with the same in a mssg. A basic workflow would be to export as FBX from DAZ and import the FBX into UE4. But animating in both DAZ and UE4 is a pain, so you probably want to do DAZ -> Blender/Maya/3DS Max to build a rig and animate, then Blender/Maya/3DS Max -> UE4 using FBX. 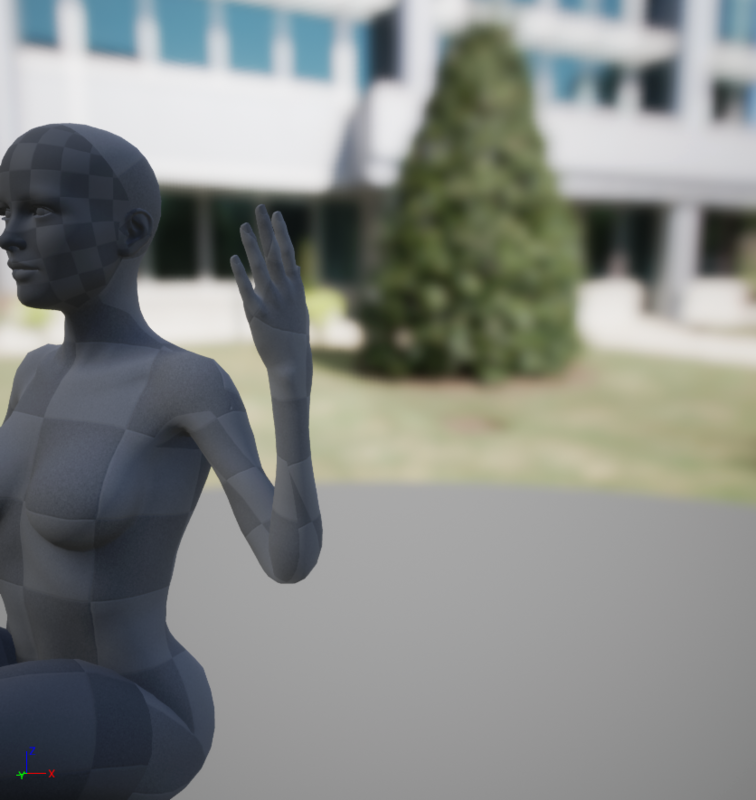 I think you can set up a rig that plays nice with the UE4 mannequin using UE4's Animation and Rigging Toolkit, but I've never used it myself so I don't know for sure. DAZ figures also use a lot of corrective morph targets (which they call "joint control morphs" or something), which you'll need to export from DAZ and either hook up using pose readers in UE4 or bake curves for in Blender/Maya/3DS Max. It will be hard/impossible to get the same look in UE4 as you do in DAZ because they're completely different renderers, but you can probably get decent results. Have to disagree. Starting with UE4.0 there were issues that would excluded Daz Studio- Genesis 3 from the pipeline but Epic was made aware of the problems and since 4.15 have corrected the major issues and continue to improve since then to the point that our team has decided to commit to using Genesis as part of our project development. Daz3D is also aware of the advantages Genesis offers to the UE4 pipeline and are currently working on feature additions directed directly as to use in UE4. Animation wise Maya, 3ds Max, and Blender are good options for doing one off animations but for serious work MotionBuilder is our weapon of choice. Disagree with what? Also, mind providing a link to your developer series? DAZ uses dual quaternion skinning, and UE4 by default only supports linear skinning, so you won't get the same deformations as in DAZ unless you use a custom build. 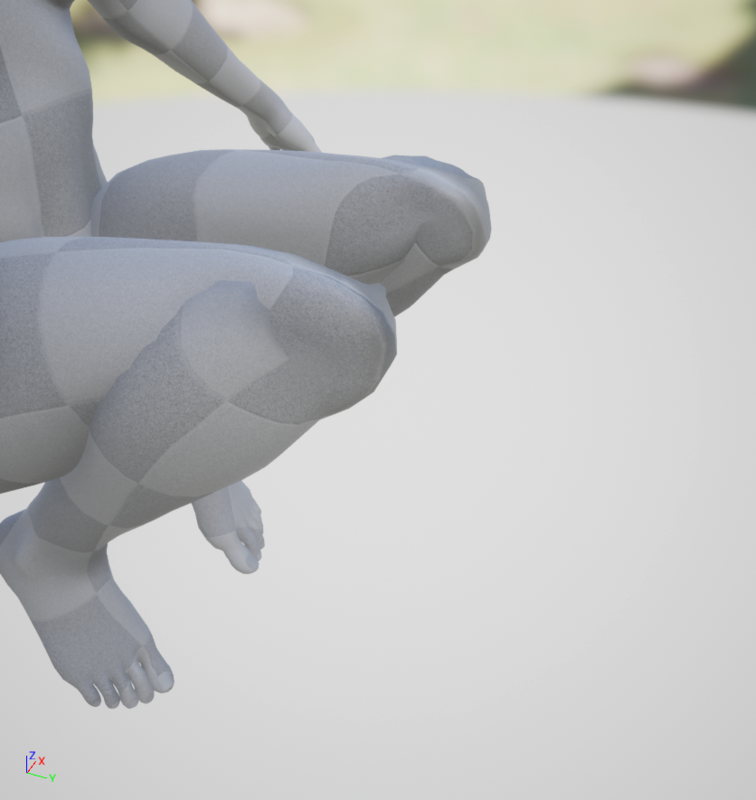 When exported to FBX the skinning solution is converted to a common used skin weight table so the problems was with Unreal 4 and not Daz Studio. This was corrected in 4.16 and now the the asset imports just fine and continues to improve. There are still some small issue but Genesis in it's current state is usable as a replacement for the limited use of the base Epic rig. A basic workflow would be to export as FBX from DAZ and import the FBX into UE4. But animating in both DAZ and UE4 is a pain, so you probably want to do DAZ -> Blender/Maya/3DS Max to build a rig and animate, then Blender/Maya/3DS Max -> UE4 using FBX. What is needed is the ability to create a proper source chain using a common format like FBX so the basic work flow should be from DS > FBX > UE4. Since Genesis 3 there is now support for both cluster as well as morph targets so some shaping make use of a combination of both. Not so much an objection than a lack of understanding of a feature base on desired output. Also, mind providing a link to your developer series? Sorry, but it's simply a fact that DAZ figures employ dual quaternion skinning, and UE4 does not support that natively. 4.16 did not change this, nor has any version since. Look at the first post in my first link and the one farther on down showing the differences. The problem was, and still is, with Unreal. You might get away with it for some poses, but the differences become very noticeable in the knees/elbows/hips when they are bent more than 75-90 degrees. I never said it was a "typical" workflow. You say "DS > FBX > UE4", I said "DAZ -> Blender/Maya/3DS Max to build a rig and animate, then Blender/Maya/3DS Max -> UE4 using FBX," which is exactly the same thing. What in the actual heck are you talking about? All DAZ figures have always had support for morph targets, and all have used both skinning and corrective morphs for deformations. To get the same deformations in UE4 as in DAZ, you need both corrective morphs driven by similar rotations (as discussed in the bottom of this post: https://crazyrestosim.wordpress.com/...-ue4/#more-845) and dual quaternion skinning. You import the corrective morphs from DAZ (via Maya if necessary) and drive their curves using the same keys as in DAZ. Did you actually read what you quoted, or did you just not understand it? Starting with Genesis 3, I forget which version of DS, you have the option of either using dual quaternion or switching to general weights out of the box with in DS. Either case I don't see any of the issues that once was and fidelity continues to improve with each release and update of UE4. Raw from DS to UE4 with retargeted animation from MB. As you suggested I did follow the link and yes DQS was a problem but following the conversation DQS support was added to UE4 along the way so once again "man will one day land on the moon" information. Sorry but I would have to say my lack of understanding is caused by Internet retention that continues to provided dated information that no longer applies and since UE4 git is open to any programmer wishing to make improvements to the engine there is nothing that says such a "mod" can not be pushed into the core build and can be assumed was included in a future build. Hummm might be a confusion of terminology. Some shaping is done in DS by 'additive' morphs that I would not refer to as being corrective. Also the lack of understanding on my part could be caused by the fact that I use MotionBuilder for animation and not Maya. A bit of a back ground is our team has decided to make use of a Genes 3 character development framework as it's a solution that solves a lot of problems out of the box so even though all applications presents problems to solve we have yet to come across the "deal breaker" so to speak as to excluding DS/G3 from the pipeline. About DQ, you can import it into UE no problem but it will be used as if it was classic linear, so you will have artifacts. Examples: 1, 2, 3. And corrective morphs will make those artifacts even worse. DQ and CL are really quite opposite things and there is no automatic way to convert between them. (Or even manual, I tried for a long time to convert DQ jcms to CL with 0 success). So it depends on what you need really. If you want a high quality human body which is guaranteed to look good in any realistic pose even if seen from very close, then you will need the AlienRendrs mod (which was updated to 4.20 btw). You also need to deal with other problems, like retargeting in 3rd party program that understand daz skeleton constraints. Also, you will face the problem that in UE morphs and apex don't like each other. Etc. etc. If you can live with lower quality then you can follow FrankieV advice. Or you can use iclone, mixamo, etc. models that are much more compatible with UE4. Strange as we are not experiencing these types of artifacts. 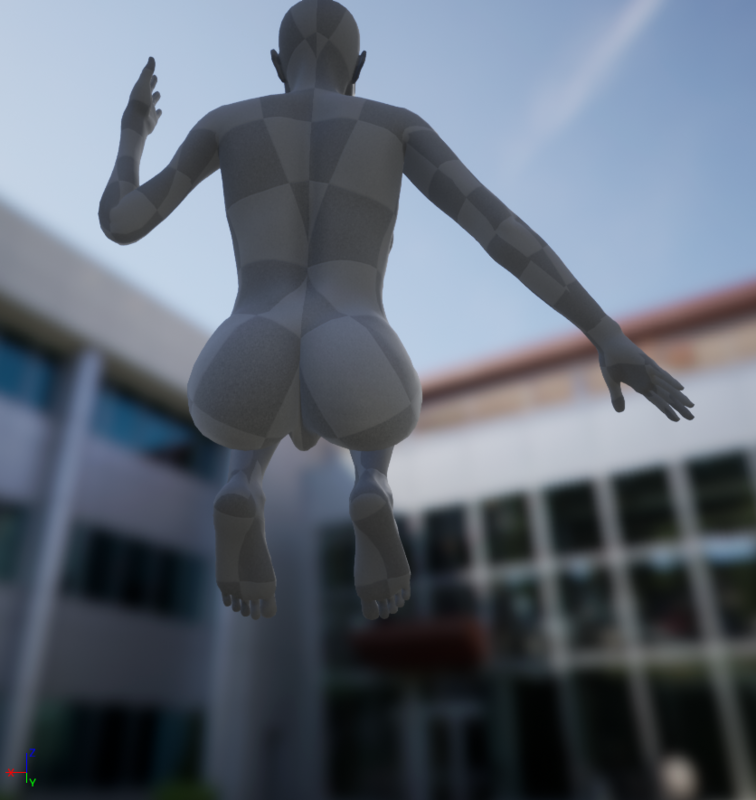 As I said we use MotionBuilder so once the Daz rig is characterized it by default works in a retargeting mode. Things like rotation alignment does not matter as long as it's characterized in the t-pose facing the Z direction.What application are you using for animations (please don't say Blender ). Have you tried setting GPU skin on? Not sure what it does but in a recent update character models using morph targets are now GPU rendered. There is a "common" problem dealing with additive morphs of course in that if you bake the character out of Daz Studio then the targets are still based on the base G3 model so of course your going to get strange results as morphs are additive so the vertex location is no longer valid. P.S. What do you mean by corrective morphs? Corrective suggests an absolute value where, with one exception, morphs are always additive as a rule.. .
Just lift both legs at max degree (115° i think) and you will have it. Other way to see it is to rotate an arm (shldr_roll) at max 90°. In both cases the mesh will lose volume. Those called jcms in daz. (joint corrective morph), there is about hundred of them for G8. Everytime you bend or twist a joint few morphs are applied. This is why Daz people look so good. In general both are wrong from the anatomical point of view, this is why daz uses corrective morphs. The morph will correct vertices so your elbow look like an elbow and not like a hose. Now, morph for DQ will usually correct things by pushing vertices back, and a morph for CL will do the opposite, it will add volume. Both CL and DQ use the same weights, it's the formula for interpolating which is different. When you import a DQ skinned model in UE, it will use CL formula on it, therefore collapsing things. If then you add daz jcms (made for DQ) it will collapse it even more. > Those called jcms in daz. (joint corrective morph), there is about hundred of them for G8. Everytime you bend or twist a joint few morphs are applied. This is why Daz people look so good. I was able to recreate the problem but I don't see it being an issue as we have no need for such an extreme pose. I was able to fix the volume loss in the arm by adjusting the roll percentage. For our use it's a minor annoyance but if AlienRendrs mod fixes the problem why not push it as a patch to the Unreal 4 GIT? > I was able to recreate the problem but I don't see it being an issue as we have no need for such an extreme pose. It's not an extreme pose. A crouch pose will have the thigh near that angle or more. Crouch poses from popular animation packages from the marketplace have thigh bent way more than 115°. Bending elbow or knee at more that 90° is not extreme at all. >I was able to fix the volume loss in the arm by adjusting the roll percentage. > For our use it's a minor annoyance but if AlienRendrs mod fixes the problem why not push it as a patch to the Unreal 4 GIT? I don't know, ask him. Someone from epic stated that they don't want to "follow 2 code paths", that's why they dropped the DQ they had in UE3, maybe that's the reason. From the wrist to the shoulder. The difference we are having maybe because we use Genesis 3 and not G8? That's great to hear...it's still pretty good since G3 and G8 have way better topology than I could make myself and are huge timesavers. But if future figures could be even easier to work with in UE4, that would be even better. That would really be awesome. I hope for UE compatible skeleton, without roll bones, because I really don't know how to make anim bp ik (2 bones ik etc) work with daz arms and legs.